At Wyss Institute at Harvard University, Founding Core Faculty Member Conor Walsh is studying the biomechanics and physiology of human walking trying to understand what makes it such an efficient process. He has applied that knowledge to the design of biologically-inspired soft wearable robots that work in parallel with the body’s muscles and tendons to mimic their function and aid human movement. “Our goal is to apply small amounts of assistance to positively impact the mobility of both healthy people and people with disability,” he says. Soft and lightweight, Walsh’s ‘soft exosuits’ can be built into the fabric of clothes. 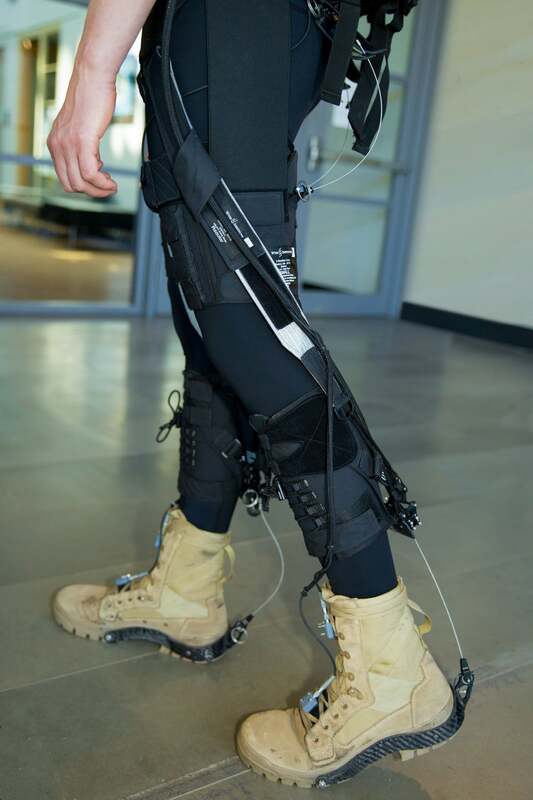 Funded by the Defense Advanced Research Projects Agency, they are a comfier alternative to ‘Iron Man’-type conventional exoskeletons for soldiers, meant to help fighters to carry heavy loads over long distances. Called ‘exoskeletons’ because they typically used rigid outer frames for support, their restrictive machinery can add to the load. Soft robots will assist those with muscle weakness or patients who suffer from physical or neurological disorders. Walsh’s team is also designing a fluid-powered glove that uses silicon-based inflatable tubes for hand rehabilitation, to mimic the motion of fingers. 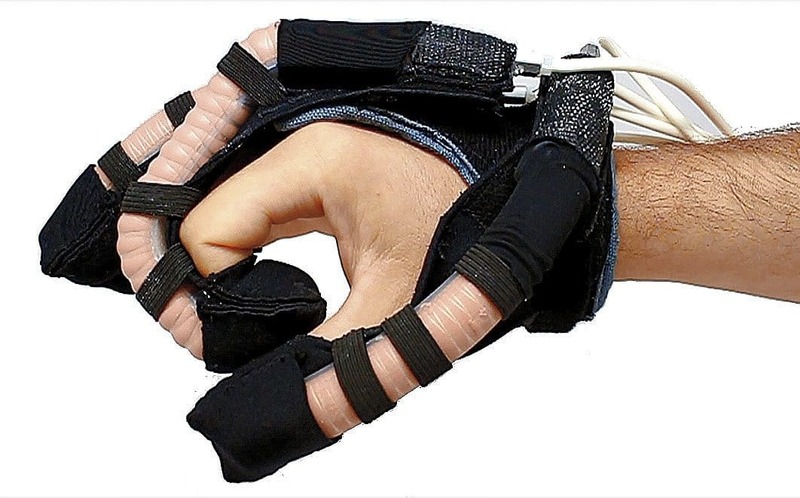 The robotic glove could supplement physical-therapy exercises, aiding patients who have difficulties with motor control. 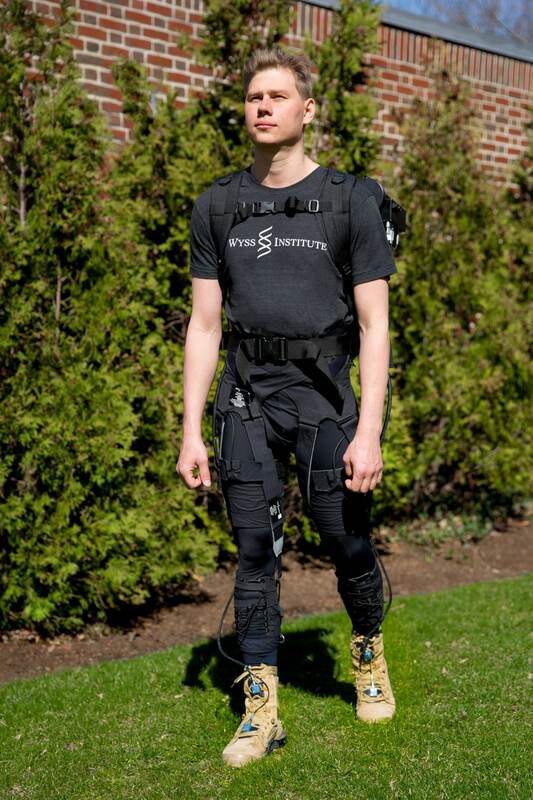 In this video, his team explains how the exosuit can restore the mobility of those with impairments. Soft Exosuits was mapped by Cecilia Laschi in her Soft Robotics AtlasChart Top 5 – a trip through the flexible future of soft robotics from Italy to South Korea. video_embed_caption Learn more about the exosuit and soft robotic glove in this podcast from the Wyss Institute. Tags: Disability, Exoskeleton, Neuroscience, Orthotics, Prosthetics, Robotics, Soft robotics, Wearable technology. Learn more about the exosuit and soft robotic glove in this podcast from the Wyss Institute. My mother suffered a stroke and has no use from both hands.Her fingers are contracted ? How can I get this ?. Thank you looking forward for your soon reply.